When purchasing a Mini Half Cheek Bit with Double Jointed Roller Mouth from us you can rest assured that you will be getting an exceptional quality Miniature Horse Bit which will be made to last. 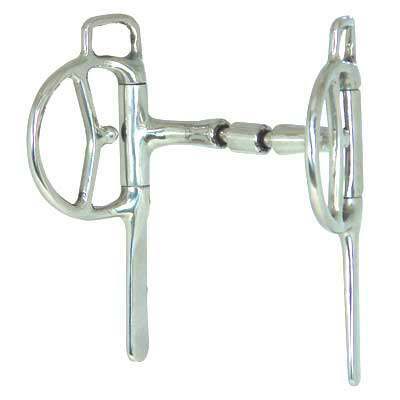 This Mini Half Cheek Bit comes with a Double Jointed Roller Mouth and is a top quality item for your horse. This item is also made especially for miniature horses. When buying a Miniature Half Cheek Bit from us you can rest assured that the product you are purchasing is made to last.